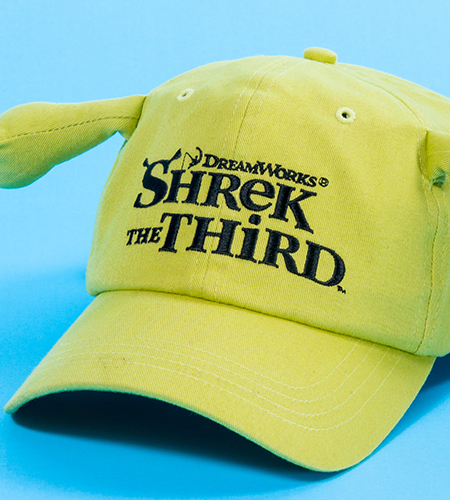 A major movie studio and an international restaurant chain teamed up to create a joint marketing campaign for the release of Shrek™. Gloso was asked to provide innovative ideas for the Shrek™ cross-promotion. The specific task was to create an item that would engage the crew members and create an exciting atmosphere in the restaurants, while maintaining the high quality and safety standards required by both of these companies. 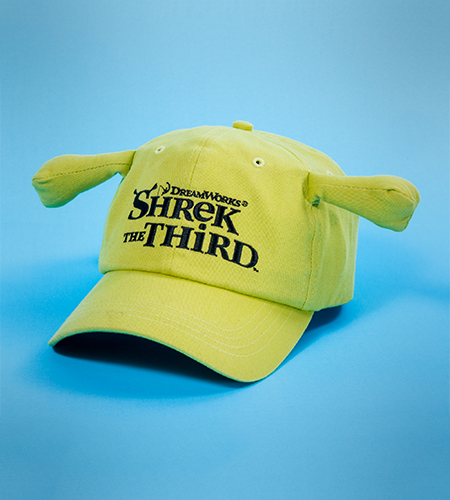 The item selected for the promotion was a baseball cap customized with antennae replicating the unique look of the Shrek™ character for employees to wear in the restaurants and for use at press events. 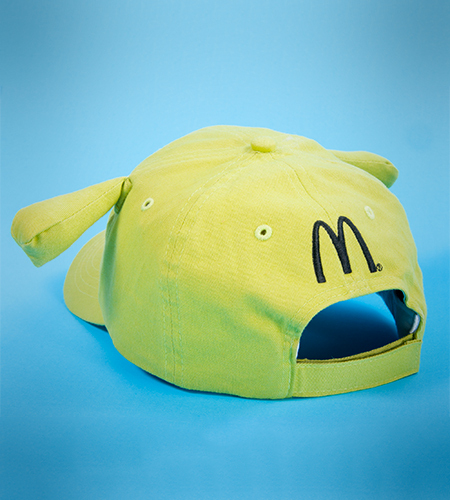 All details of this cap had to mirror the color, shape, and proportion of the character himself. Gloso devised a special construction that allowed the antennae to reach the required angle without the use of wires or springs, therefore, making the product child-safe. The final product was provided not only to the US market, but also to international locations including Malta and Greece. 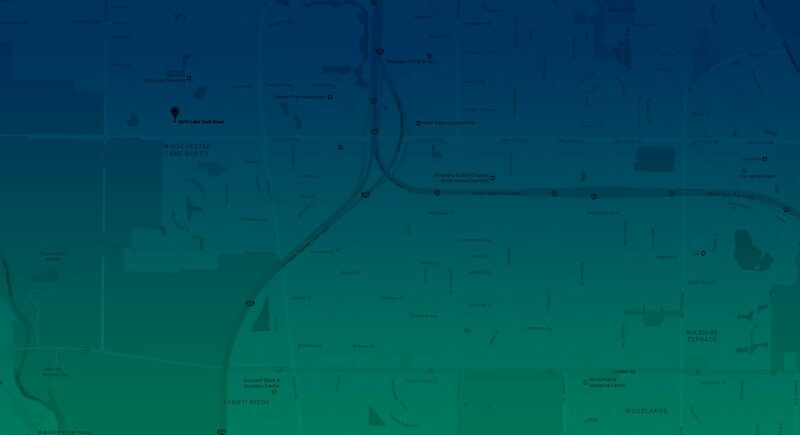 Our logistical expertise was called upon to facilitate delivery of the caps on-time and within budget to all markets. 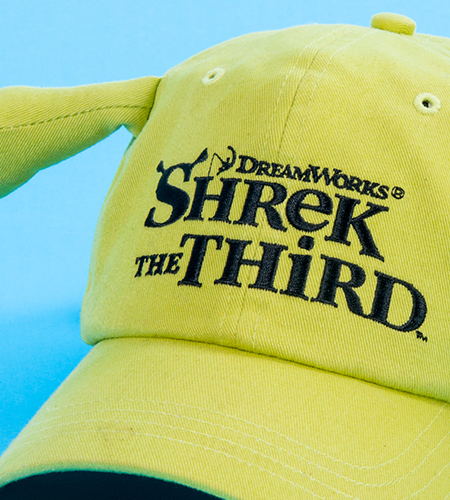 The promotion was such a huge success for both companies that the caps were updated to promote the Shrek™ sequels.